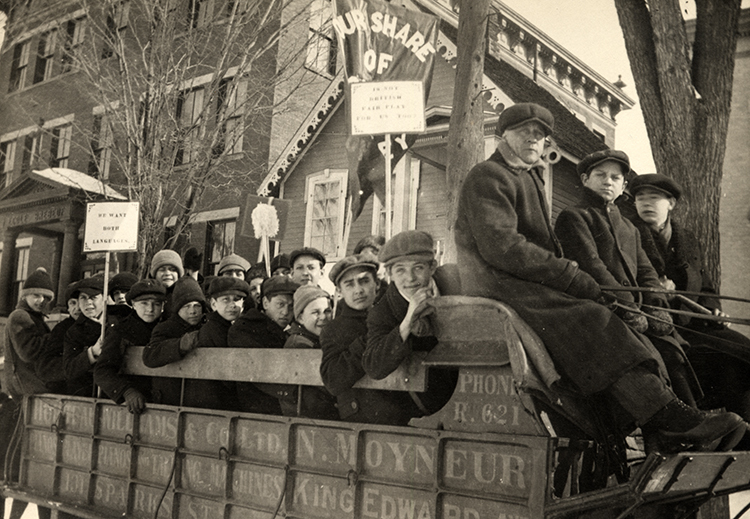 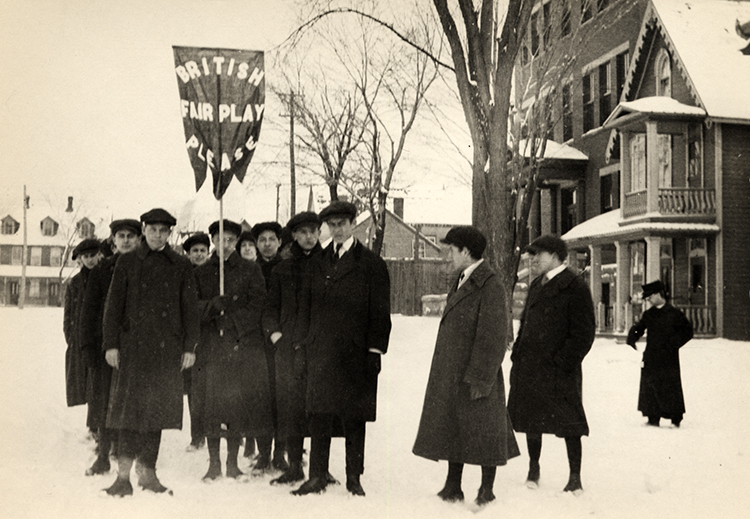 L’École Guigues became the centre of minority-rights agitation in Ontario when, in 1912, the provincial government issued a directive, commonly called Regulation 17, restricting French-language education. 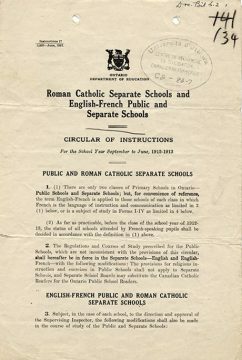 Mounting protests forced the government to moderate its policy and, in 1927, bilingual schools were officially recognized. 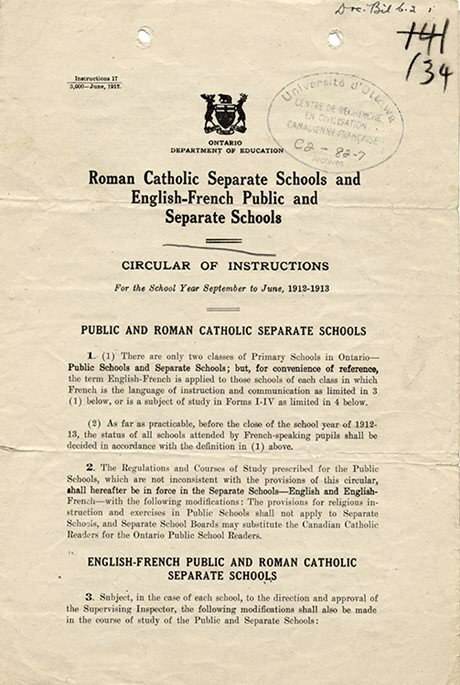 YouTube video – “Le Règlement 17”, 1912 (in French).